Note: Program field trips are a members-only benefit. Join the Olive Hyde Art Guild and experience friendship and fun on our next field trip! Guest Artist Susan Helmer provided a demo of silk painting. Visit to Montalvo to see the beautiful light show in the garden. We viewed 75 works including artists from the East coast to Singapore. A celebration of book arts presented by the Bay Area Book Artists (BABA) featuring exhibition of artists’ books, artists selling handmade books, artists talks, sale of donated books, art, and tools, demonstrations & hand-on activities. Field trip to Filoli Estate & Gardens in Woodside. On view is their 20th Annual Botanical Art Exhibit, as well as a self-guided tour of the gorgeous Georgian Revival house and their legendary gardens. San Jose Quilt & Textile MuseumLet’s all “Fold & Twist”! Guest artist P. Kay Hille-Hatten led a free hands-on mini-workshop to make our own accordion-style books. In this era of Internet, when you could send a greeting at the touch of a button, a hand-made card has acquired a whole new meaning. The effort and time that goes into creating a card, gives it a special dimension that speaks volumes about your feelings for someone. It’s personal, and it shows how important the recipient is, to be deserving of such attention! 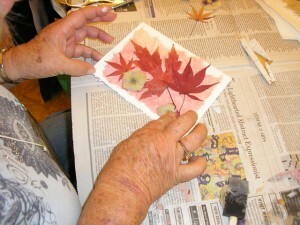 The group had the opportunity to make some cards with Nancy Overton, using pressed flowers and leaves. In addition to viewing the exhibits, we explored the many artists’ open studios that day, including oil painters, watercolor artists, furniture designers, sculptors, millinery, jewelry and other forms of art. Judy introduced us to pastels and new techniques using them on paper! Presented by Carla Moss, OHAG Member. Attendees assembled and created a whimsical work of art using items and objects they had found, or recycled. Ceramics and Glass Artist Eileen Morrison, long-time resident of Fremont, and a member of Olive Hyde Art Guild presented and demonstrated her art in the Mission Room. We viewed a very special exhibition: “Beauty — Design Triennial” organized by the Cooper Hewitt/ Smithsonian Design Museum of New York. A fascinating exhibit of 280 works by 27 designers in fashion, furniture, sculpture, architecture, interactive games, wallpaper and much more. Kay Duffy is a well known professional artist in the Bay Area creating watercolors and collage. Participants had fun creating unique artwork. Guest Artist Katy Kindig of San Jose presented and demonstrated her art. Much of her work is inspired by Bay Area landscapes. Our members had a great day exploring the newly expanded SF Museum of Modern Art (MOMA). They joined some of the daily Docent tours for more insight on the collections and exhibits. A field trip for Members & their guests to see Christian L. Frock’s “Take This Hammer” exhibit. Christian Frock is the Curator, and she met us at the gallery to discuss the show. Our Member, Adrian Dedic, showed us the many types of printmaking processes she uses in her home studio. 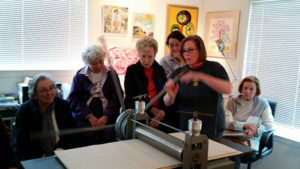 She explained the planning and steps needed to create an etching, the special tools she uses to hand carve her wood blocks, and how she prints various monotypes and intaglios using her printing press. We were fascinated and impressed! CAL Art Docent private tour. We will be taking BART and a short walk to One Market Street, San Francisco. “Looking East,” organized by the Museum of Fine Arts, Boston, consists of more than 170 objects, including decorative arts, paintings, prints, drawings and textiles. Locally, a lecture/slide presentation featuring “Looking East,” was held at the Olive Hyde Art Center. Asian Art Museum docent, Yvonne Cheng gave us a fascinating overview of “How Japan Inspired Monet, Van Gogh, and Other Western Artists.” She discussed the interplay of new art styles and themes inspired by Japan after 1850. Olive Hyde Art Guild invited members of the community to join artist photographer, P. Kay Hille-Hatten for a photographic stroll around picturesque Niles. Participants brought their cameras for an opportunity to gain insight on learning to see things differently & capturing what you see. 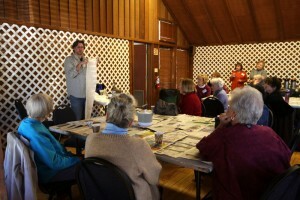 Lisa Babbitt, a graphic designer and illustration professional with 20 years of commercial experience, presented a demonstration of her watercolor portrait techniques at the Olive Hyde Art Center. Keay Edwards presented a program on preparing your artwork for submission. Keay Edwards is a Photography Lecturer at San Jose State University in the Department of Art and Art History. 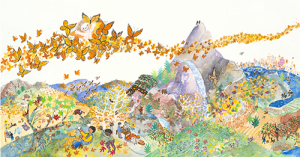 Elisa Kleven, author and illustrator of many children’s books, presented a slide program about her delightful stories & whimsical illustrations at Olive Hyde Art Center, 123 Washington Blvd., Fremont, on Wednesday, March 25 from 10 a.m. to noon. In addition to writing & illustrating her own books, Kleven has also illustrated books by other authors. She has been recognized nationally with awards and honors from the American Library Association, The New York Times, the Junior Library Guild, School Library Journal, and the American Institute of Graphic Arts. Nancy Overton, a graduate of The California College of Arts and Crafts in Oakland, will conduct a hands-on greeting card workshop at the Olive Hyde Art Center,123 Washington Blvd., Fremont, on Wednesday, February 25 from 10:00 a.m. to 12 noon. Nancy enjoyed a career as the Product Development manager for Sunset Designs for 20 years overseeing the development of stitchery, needlepoint and cross-stitch kits sold throughout the United States. She also worked for Peking Handicraft in San Francisco where she oversaw the design and development of lace products, quilts and needlepoint pillows produced in China. Recently, Mrs. Overton has designed for the gift and craft markets. She has authored several craft books. She has made birds, dogs and cats in paper mache that are reproduced in China and offered in gift shops across the country. Nancy’s original art is shown locally at “Studio Seven” in Pleasanton. Two hours of hands-on-crafting with Nancy is guaranteed to lift the spirit and produce a beautiful and unique greeting card. “Modernism” from the National Gallery of Art. De Young Museum docent and lecturer, Dr. Jim Kohn, presented a program entitled, “Modernism from the National Gallery of Art: The Robert and Jane Meyerhoff Collection” at the Fremont Main Library. Dr. Kohn discussed the overview of American art from the end of World War II through the end of the century. In addition, presented a slide presentation with his lecture. San Francisco’s de Young is the exclusive venue for the Modernism Exhibition. Dr. Jim Kohn has been a docent at the Fine Arts Museums of San Francisco since the new de Young opened in October, 2006. He frequently gives tours in both the de Young Museum and the California Palace of the Legion of Honor in all the visual art forms. He is a regular participant in the Community Speakers Program, and gives illustrated talks on various topics representing the docents of the Fine Arts Museums of San Francisco. Acclaimed multi-media artist and Olive Hyde Art Guild member, Maria Romeo, presented a program entitled “Sculpting with Wool” (felting) at the Olive Hyde Art Center on Tuesday, May 27, 2014. 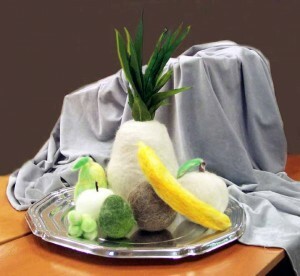 Participants learned the basic technique of working with wool to create three dimensional art. 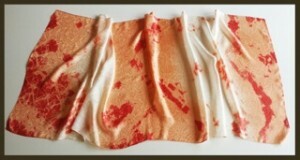 This technique can be used to decorate sweaters, bags , and other accessories. It can also be used to create decorative sculptures. This is a retrospective of the creative art-to-wear movement beginning back in the 1960s. We had a tour of the show and viewed one-of-a-kind garments along with designs challenging our ideas of what we wear and our identities. Featuring, primarily, the art and techniques of textile artists, the discussion included works of printers, gold leaf artists, calligraphers and ceramists. 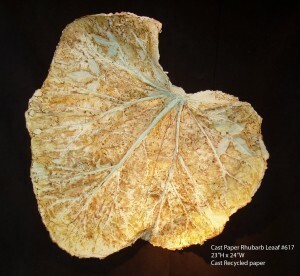 Jeanne Tillman, an accomplished fiber artist, demonstrated her techniques for Hand-crafted paper and objects of art from recycled paper. De Young Museum docent and lecturer, Kay Payne, presented a program entitled, “The Art of Bulgari: La Dolce Vita & Beyond” in the Fukaya Room, at the Fremont Main Library, 2400 Stevenson Blvd., Fremont. Zoya Scholis, an abstract painter, sculptor, and author of the recently published “Tape & Spray Watercolor” presented a demonstration of her technique. San Martin artist, Jaya King presented a “Collage Technique” demonstration. Jaya demonstrated the use of decorative collage papers and acrylic paint to create fun and whimsical pieces of art. She will be describing process, tools, composition and where to find local supplies. Olive Hyde Art Guild sponsored a docent led tour of the San Jose Museum of Quilts and Textiles on Wednesday, May 22, 2013. Encaustic is a beeswax based paint that is kept molten on a heated palette. It is applied to a surface and reheated to fuse the paint into a uniform enamel-like finish. The word encaustic comes from Greek and means to burn in, which refers to the process of fusing the paint. 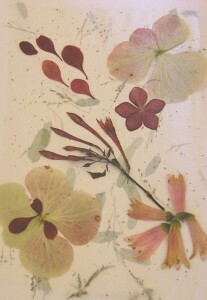 Encaustic has a long history, but it is as versatile as any contemporary medium. De Young Museum docent and lecturer, Marsha Holm, presented a program entitled, “Girl with the Pearl Earring: Dutch Paintings from the Mauritshuis.” Ms. Holm discussed a selection of paintings by the leading artists of the Dutch Golden Age. On exhibit at the de Young Museum in San Francisco from January 26 – June 2, 2013, this once-in-a-lifetime exhibition, including Vermeer’s timeless masterpiece, is made possible only because of the current renovations and expansion of the Royal Picture Gallery Mauritshuis in The Hague, Netherlands. Fremont artist Barbara Cronin showed us how she does her “Organized Doodles” so they are charming and artistic. Olive Hyde Art Guild toured the Anderson Collection, in Menlo Park, on Thursday, September 20, at 11 AM. The Anderson Collection is one of the largest private collections of American Art. With a degree in engineering from the University of Tehran, Iran, Farshid came to the U.S. in 1974. She continued her education earning an MBA at University of San Francisco and a CFP from the College of Financial Planning in Denver, Colorado. After a successful career as a financial planner and V.P. with a major bank, Farsid left the corporate world to focus on her childhood dream of becoming an artist. Motivated by her desire to paint, Farshid enrolled in art classes at Ohlone College. Recently, two of her portraits were selected for the annual International competition at Salon International in San Antonio, Texas. In addition, the April 2012 edition of “American Art Collector,” a magazine specially written for galleries, collectors and painters of traditional fine art is showing Farshid’s work. Two paintings are being shown at the Greenhouse Gallery in San Antonio, Texas. In June, Farshid’s work will be shown locally. Farshid’s Olive Hyde presentation included a brief description of her painting process. She demonstrated her technique on a small portrait. Speaker Beverly Ortiz, a naturalist at Coyote Hills Regional Park in Fremont, discussed the varied functions of baskets and the processes used to create them. Shu-Chen Chen, “Chinese Calligraphy” – a hands-on experience. We learned how to write our own name with Chinese characters! The wonderful teacher, Shu Chen Chen, showed us some of the secrets of this ancient art and guided our hands in trying to replicate the master strokes. View photos from the demonstration. Local artist & OHAG member, Denise Oyama Miller presented a “Mixed Media Collage Demonstration” in the Mission Room of the Olive Hyde Art Center from 10 am to 12 noon. After the demo there was a ‘hands-on’ experience for making small landscapes. On January 25, 2012, we visited the Triton Museum in Santa Clara to see the “2011 Statewide Painting Competition & Exhibition.” Member Denise Oyama Miller has a painting, “Working in a Copper Mine” that’s in the show. Members took BART to San Francisco, had lunch at Ferry Building, and then walked to Pier 24 Photography. The exhibit was entitled “Here.” It presented works produced by 34 Bay Area photographers and included images of San Francisco (emphasis on late-20th century) and surrounding areas. There were over 700 images from 1906 Quake to present day which documented life in the Bay Area. Photographers include: Carleton Watkins, Richard Misrach, JimGoldberg, Eadweard Muybridge, Lee Friedlander, Dorothea Lange, Bill Owens, Edward Weston and numerous others. 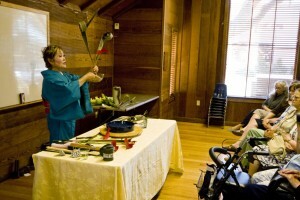 A special demonstration by Katsuko Biko Thielke, an inventive Ikebana flower arranging artist. Katsuko studied in Japan and earned her teaching degree in 1969. She now resides in Mt. View. In addition to frequent participation in San Francisco Bay Area Ikebana International Chapter events, she has given programs in Sacramento, Monterey and Colorado. For any years she has installed arrangements at the San Francisco Fine Arts Museum’s “Bouquets to Art” and at Filoli Gardens for their annual flower show. Ms. Thielke teaches Ikebana in Los Altos, Mt.View and Mission College. Ralph Cooksey-Talbott presented a workshop on “Photography for Beginners.” Cooksey is a member of both OHAG and FAA,a nd his work has been in the Olive Hyde gallery and Holiday Show, in addition to major galleries. For more background information, visit Cooksey’s website. Grace has conducted sketchbook/watercolor tours of Scotland, Italy, France and most recently taught aboard a cruise ship touring from Seattle to Skagway, Alaska. Read Grace’s bio. We enjoyed a San Jose Museum of Art Docent-led tour featuring three photography exhibits: The Modern Photographer: Observation and Intention/Selections from the Permanent Collection; “Portraits” by American photographer Robert Mapplethorpe (1946-1989). Her topic is on the second exhibit on loan from France: “Van Gogh, Gauguin and Beyond: Post Impressionism from the Musee d’Orsay.” Marsha’s presentation includes selected slides from the exhibition along with commentary on the artists, their techniques, and history of that period. Marsha Holm has been a docent with the Fine Arts Museums of San Francisco since 1979. She gives tours on all areas of the museums’ collections. In addition to being Chair and training docents at the San Francisco museums, she has also assisted training new docents at the Blackhawk Museum, the Oakland Museum, and the San Jose Museum of Art. She has a broad background in many facets of art history and a particular fascination with contemporary art. Her previous lecture on “Birth of Impressionism” was so popular, the Olive Hyde Art Guild specifically invited her to return for the second part of this special exhibition from the Musee d’Orsay. Marsha Holm, a docent lecturer from the Fine Arts Museums of San Francisco (FAMSF), will be presenting a program on “Birth of Impressionism: Masterpieces from the Musee d’Orsay” which will be opening at the DeYoung Museum in May. The program will also include a slide show along with the lecture. Fremont artist, Akio Aochi, presented a ceramics program in the Olive Hyde Art Center Courtyard. This was an opportunity to watch an expert potter work in his medium. In addition to building a piece using a ceramic wheel, Mr. Aochi demonstrated his skill in trimming greenware. Largely creating functional ware, Akio also enjoys making Raku and pit-fired decorative pieces. As a long time member of the Orchard Valley Ceramic Arts Guild, Akio also teaches at Blossom Hill Crafts Pottery in Los Gatos. Mr. Aochi made a salad bowl, a platter and a casserole dish with a lid during our demonstration. He answered a lot of questions and was also very entertaining. One of the pictures shows him destroying his freshly made creations because of a mistake. On Wednesday, March 24 the Olive Hyde Art Guild will travel to the San Jose Museum to enjoy a docent tour of the Wayne Thiebaud exhibit. The exhibit showcases a sampling of 70 years of painting by this California artist. Because of his interest in objects of mass culture, Thiebaud (pronounced “Tee-bo”) is often associated with the Pop art movement, which his work predates. James Castle – A Retrospective. This exhibit examines the fascinating output of artist James Castle, who spent his entire life making drawings, assemblages, text works and handmade books from found materials on his family’s farm in rural Idaho. The Olive Hyde Art Guild field trip for January 27th was a visit to the DeYoung Art Museum to view “Amish Abstractions,” quilts from the collection of Faith and Stephen Brown. This showcases the artistry and diversity of the Amish quilt making tradition with 48 full-size and crib quilts dating from the 1880s to the 1940’s, the height of Amish quilt making. On October 28, 2009, we carpooled to the San Jose Museum of Art. Martha Crowe, Program Director, secured an excellent docent who encouraged discussion of the many works on exhibit. We all enjoyed the museum’s Dale Chihuly ‘chandelier’ glass work, which greeted us in the museum’s main lobby. The photo at lower left shows the unique little benches provided by the docent. You take them along as you go from gallery to gallery and it allows folks to sit, observe, and discuss. The museum featured early works of Ansel Adams, colorful mobiles by Calder and works by Chuck Close: Printing and the Process. The on-site cafe and the museum’s gift shop were also popular places Guild members visited. The field trip to the Dale Chihuly show at the De Young Museum in SF on September 24, 2008 was spectacular. Glass chandeliers, underwater sea objects, Ikebana flowers, boat loads of sea glass, and wonderful views of the City prompted oohs and ahhs from Guild members and guests.